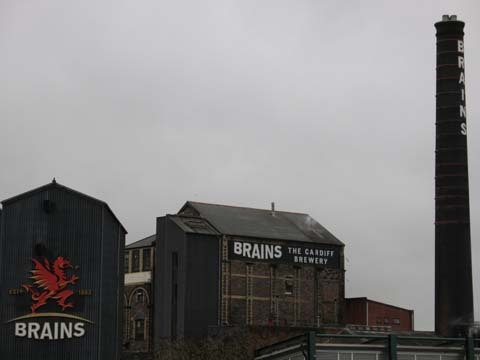 Wales is well known for rugby, daffodils, rain, slate and for being categorically grouped in with England at every opportunity; legally the two countries are very similar. However Wales has its own language and is much more rural and mountainous than England. 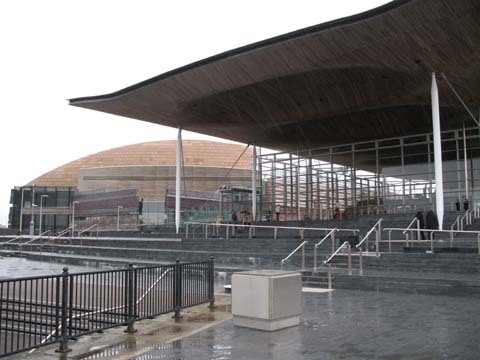 The Welsh government was devolved at the same time as the Scottish government in the late '90s. I have been to Wales a few times throughout my life, starting when I was much younger and living in Maidenhead. Since then I went on a school activities week at a PGL camp at Llangorse Lake in the Brecon Beacons at the age of 13, but I wasn't to return again until 2007 when I visited my sister a few times at Cardiff University. I have also had the pleasure of attending a wedding near Wrexham in the north of the country. 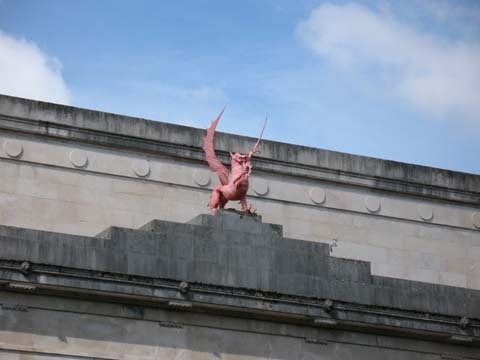 Symbol of Wales, the Red Dragon (Y Draig Goch) can be seen all over the country, as well as on the national flag. This one is on top of one of the Cardiff University buildings in Cathays Park. 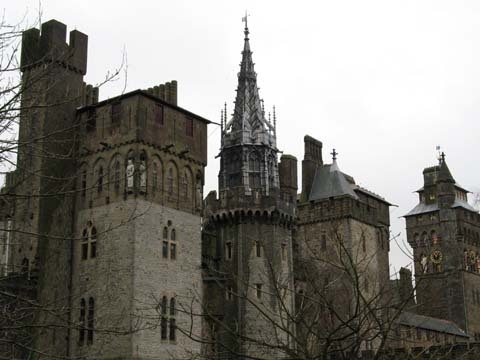 Cardiff Castle, just on the edge of the city centre, with Harry Potter-esque design. It has had various bits added and taken away over the last 1000 years. 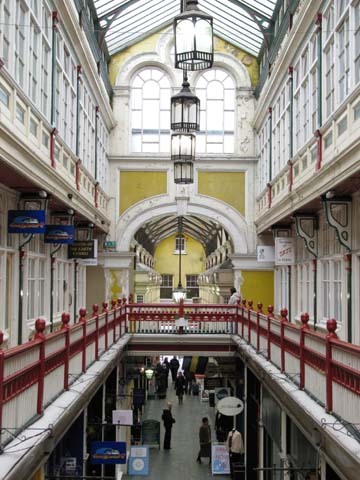 Castle Arcade in the city centre, funnily enough it's right opposite the entrance to the castle. When in Wales, drink Welsh. Brains is a very nice ale, disappointingly not sold in many if the city's trendier bars, so you may have to venture into an old man pub to find some. Just be sure to adopt your best zombie shuffle as you seek it out - Brains! Brains! 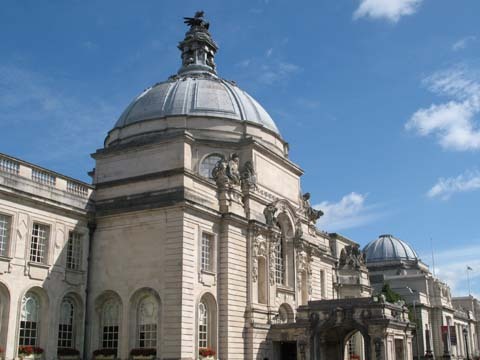 The City or Civic Hall is in Cathays Park (pronounced KatEHs, not at all like the name Cathy) and dates back to the early 20th century. Its clock tower was on a Catatonia album cover. 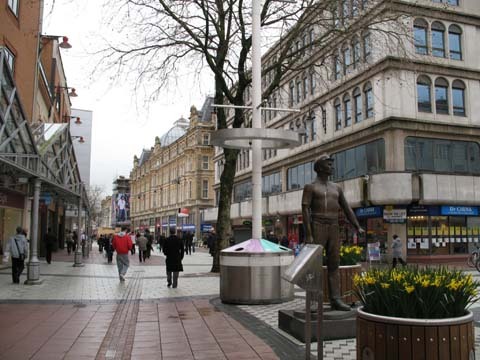 Shopping on Queen Street in Cardiff, note the daffodils in the foreground! I was sure I recognised some of the city centre from Doctor Who. Wales - the happy country - yes indeed. 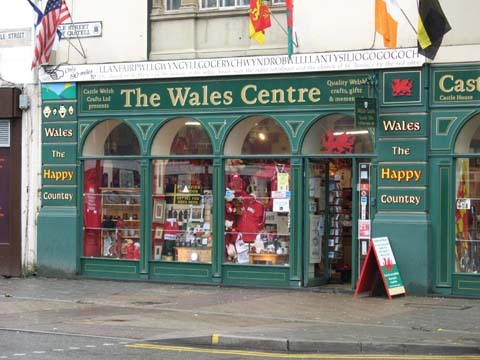 Along the top of this tourist shop is the longest named place in the UK (also in Wales); Llanfairpwllgwyngyllgogerychwy-rndrobwllllantysiliogogogoch, (too long for me to write it all in one line, it's not normally hyphenated!) which means "St Mary's church in the hollow of the white hazel near to the rapid whirlpool and the church of St Tysilio of the red cave". 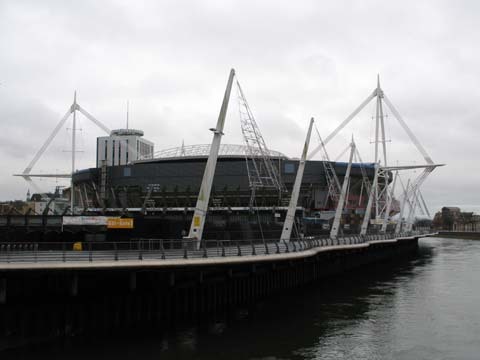 Cardiff's Millennium Stadium, one of many turn-of-the-century projects around the UK, this was more successful than many. Step right this way for the international rugby games. In the university area, things are not quite so shiny. 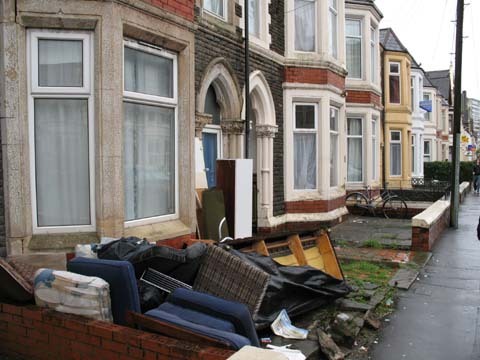 This is Colum Road, along which my sister would walk every morning on her way to classes. Here is one of the better-tended gardens. 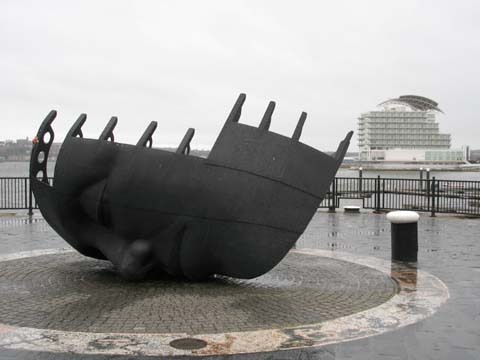 Y Senedd - the Welsh National Assembly building, centre of Welsh politics and devolved government, down at Cardiff Bay. 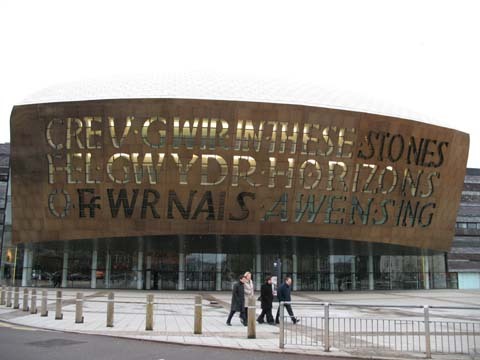 Wales's Millennium Centre, another recent addition to Cardiff Bay along with Y Senedd; it is a centre for the performing arts. The text across the front is two lines of poetry, one in English and one in Welsh, but the meanings are not the same.